Pay what you like! 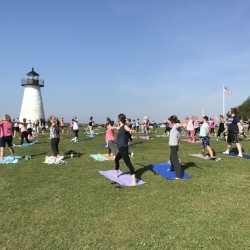 We kindly suggest a $5 or $10 cash and a portion of the proceeds go to support Project Wheel House which provides free yoga and meditation classes to at-risk populations in our community. You can also always donate a NEW YOGA MAT, too! These mats are used by students in Project Wheel House yoga classes.